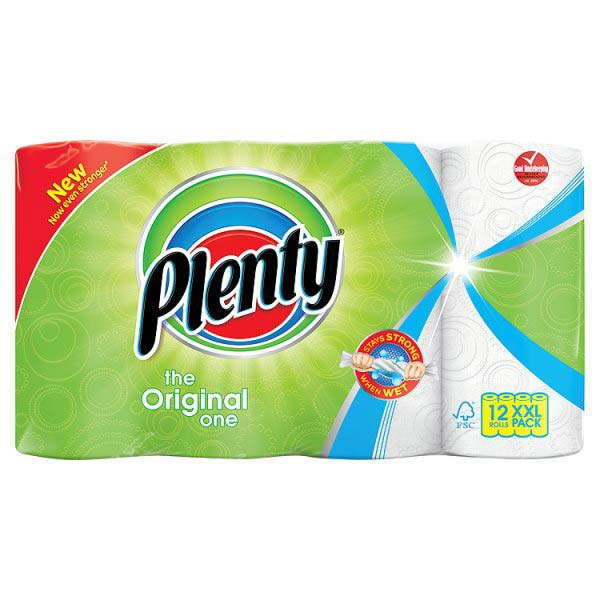 Plenty The Original One Kitchen Rolls / Towels 2ply kitchen paper. Whether you're mopping, wiping, polishing, shining, cooking or cleaning, Plenty's superior performance is perfect for every task around the home. Good Housekeeping Reader Recommended UK 2016. 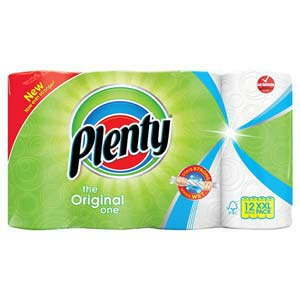 Average 50 sheets per roll.